Videos enable consumers to see a product more clearly and in action. As such, they tend to drive conversions better than text alone. 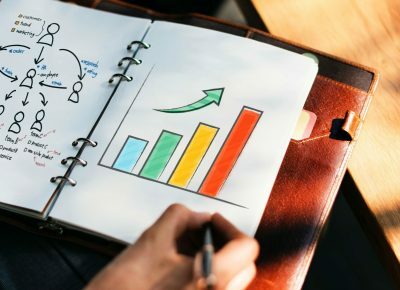 In this article we are going to talk about the advantages of using videos for your site and provide you with a step-by-step plan backed with examples that shows you how to optimize videos for increased conversions. Let’s start with the results you can expect from video marketing. Research by Online Video Publisher’s Association provides strong data on the user behavior after watching videos. 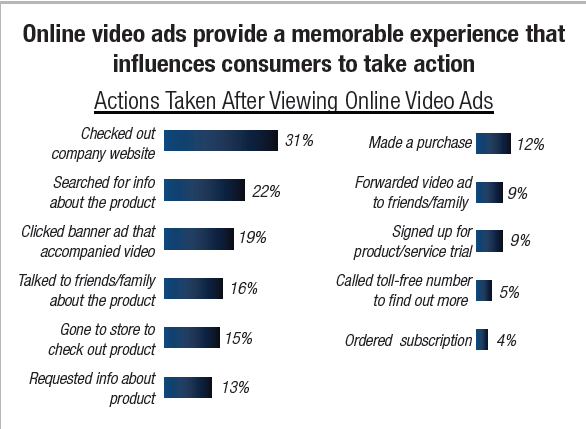 Over 80% of users recall seeing video ads and 52% took some kind of action based on the ad. ReelSEO reports that US viewers spend 23 minutes a day watching videos. The report also suggests that online video consumption is strongly driven by word of mouth. In fact, 51% of the survey takers said that they watched a video because someone recommended it to them. In this case study we can see that using videos in emails increases the engagement. Among the respondents who used video in email, a whopping 44% saw an increase in the amount of time subscribers spent with an email. Ragan communications found that sending video emails (videos embedded in a separate landing page) increased their clickthrough rate from .25% for text-only mails to .50%. 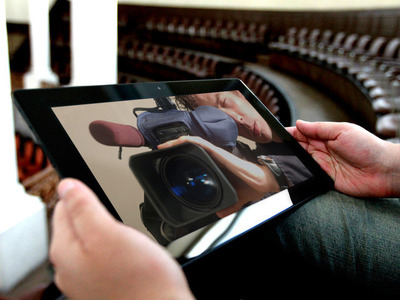 Mediapost reports 90% of consumers watching online video. Here are some of the conversion rates that were achieved when video was deployed using the eCommerce Treepodia video platform. They not only experimented with various kinds of videos but also launched an option screen that allowed the viewers to either choose the full-length video (up to 8 minutes) or watch the highlights. What you must know about user-generated and professional videos? ComScore conducted a study that wanted to see the engagement generated by a professionally produced how-to video versus a user-generated product video. It was interesting to note that when the professionally generated video was used solely, it generated a 24.7% lift in Share of Choice, 6% higher than when a user-generated video was used. But what was interesting to note is that, when both types of videos were used, the share of choice was much higher at 35.3%. On another note, user-generated videos drove more emotional intensity; however, key message delivery was better in professionally developed content. It’s safe to say that both types complemented the other and filled gaps that each lacked individually. According to Neil Patel, the explainer video generated an additional $21,000 in revenues for CrazyEgg. According to Neil, the script is what counts. The story has to be perfect. The explainer video does a good job of identifying customers’ pain points, namely, not being able to do anything with the data they have. CrazyEgg offers the perfect solution, heatmaps that help you understand why visitors don’t convert. It comes with a free trial, after which the monthly price seems affordable. Plus, well-regarded companies use it. The video throws every customer fear out of the window and thus converts. What does research say about the length of the videos? Research from Wistia, a video marketing platform, shows that shorter videos are more engaging than longer videos. While video watching approaches completion rates for a 30-second video, videos that are 10- to 20-minutes long are typically abandoned half-way through. 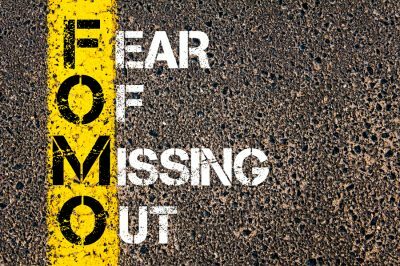 Research says that short-form content in the form of brand ads and brand videos were just as effective as long-form one. Overall, video content length was irrelevant when it came to measuring advertising performance. 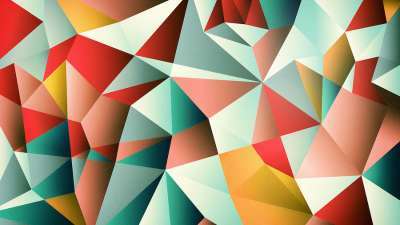 Moreover,57% of customers showed brand favorability when exposed to short-form videos. Does video length affect conversions? 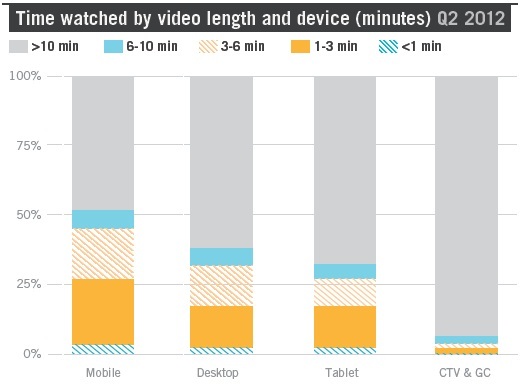 Interestingly, length may be more important than content when it comes to viewer engagement. Philip Guo (University of Rochester) found that students, on an average, watch videos only up to the 6th minute and engagement wanes after that. A video that is 6 minutes long may be watched fully, but only the first 3 minutes of a 15-minute video will be watched. An analysis of the Ooyala Global video index which measures viewing habits of over 200 million anonymous viewers suggests that videos of 6 minutes are popular on all devices. Does it mean that you have to make shorter videos to succeed? The average number of seconds viewed for 188,055 videos was measured to arrive at the stats. The data leads us to believe that the average online video viewer wouldn’t spend more than 10 seconds on a video, BUT engagement stats are just the opposite for engaged viewers who (thankfully) account for 74% of all online video viewing. The research also reveals that controllers and connectors watch long-form video more often. Cisco’s paper on Visual Networking Index says that video could drive 57% of consumer internet traffic with 47% of it consisting of long-form video content. Despite all the metrics we just saw in support of short-form videos, Ryplle, a social performance management tool, found that its engaging 2-minute explainer video performed 34% better than the average 2-minute video. Above, you can see the playthrough rate of Rypple’s video stacked against the average playthrough rate of a two-minute video. What do they do differently? The biggest difference is that Ryplle tells a story that clearly communicates they understand a client’s pain points . Storytelling improves conversions. A study shows that similar areas in the brain show activity during the story, in both the speaker’s and the listeners’ brains. According to Joseph Ledoux, author of “The Emotional Brain,” projecting ourselves into stories makes us uniquely human. Ebay could have made videos that merely showcased the products. But it went a step further and weaved a story about discovering your own world. The Find Your World(2:54 minutes long) was uploaded on May 16th this year and has garnered under a million views. Watching the video you’ll find that even though it’s about products, the story is so compelling, you won’t turn away. The charts below show you the engagement of French viewers to a video narrated in English. We can see a higher drop-off amongst French viewers in the left. 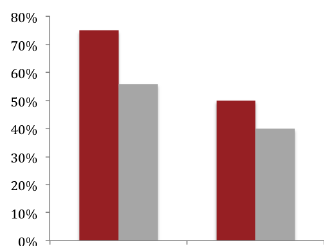 On the other hand, when watching videos in their native language, viewers watch longer and have a lower drop-off rate. The lesson? It may be worth making videos in different languages if you want to reach different markets. What kind of narration works best—Male or Female? eCommerce site EyeBuyDirect found that videos with male narrations had a 9.28% conversion rate, compared with a 2.78% conversion rate for videos with female narrators. However, I’d say it depends a lot on the target market. My advice is to split test and see what works for you. The success which Ripply had could be attributed to conveying complex concepts in simple language. The homepage video on CrazyEgg does that too. Dropbox made a video about what they were doing at a time when people didn’t even know why on earth somebody would want to access files online. Their video showed both the product and its need. According to Dale Carnegie, “Monotony, the cardinal and most common sin of the public speaker, is not a transgression—it is rather a sin of omission, for it consists in living up to the confession of the Prayer Book.”(The Art of Public Speaking). We have more tools in video production today, yet the cardinal sin is repeated again and again. Compared to the hapless public speaker who only has his voice, while producing videos, we can change the back ground, introduce fresher patterns, and drop in animations. We have the freedom to add music (an emotional trigger) and B-rolls, or secondary footages, for all the diversity we want. People like being talked to and love receiving personalized treatment. Even waiters were able to get 23% more in tips with personalization without changing service. So, address your viewers with a “You.” Tell them how and why your message matters to them. Both the sites KickStarter and StartupVideos have tons of explainer videos from budding entrepreneurs. If you ever get stuck, you’re just one click away. Have you ever used videos on your site? How did they impact your conversions? Plus, share us with some tips that have worked for your on-site videos if you did use them.